Information: Jane Farwell Hinrich, organizer and teacher and author of folk dance material. Jane (1916-1993) was born on January 18, 1916, of English, Irish, Scottish, and Pennsylvania Dutch descent, on the Farwell Family Farm, now one of Wisconsin's Century Farms, located on county BB between Ridgeway and Dodgeville. Creating a major in "Rural Recreation," she graduated with honors in 1938 from Antioch College in Yellow Springs, Ohio. Jane's first jobs were as a recreation specialist in Greenwich Village and the Catskill Mountains of New York, in West Virginia's Appalachian Valleys, in New York City's "Hell's Kitchen" neighborhoods, and in Grange Halls and one-room schools across the Midwest. It was at Antioch college that Jane first got the bug to do recreation work. The Antioch plan of study brought her into contact with students from all over the world. Bothered by her apparent interest in too many hobbies (music, dancing, camping, arts, crafts, and dramatics) and feeling that she could not excel in any of these hobbies individually, her thoughts turned to majoring in recreational work. Graduating from Antioch in 1938, she definitely decided that because she was interested in rural peoples and would never feel at home unless she remained rural herself, she specialized in recreation for rural communities, calling her chosen field "Rural Community Leadership." It was during her last year of college that she made a discovery that was to color her entire life: she found folk dancing quite by accident at a group of Swedish dancers teaching the Hambo Polska. From then on, every free moment, it seemed, she devoted to learning and absorbing all the folk dances she could find. Deciding that folk dancing was going to be the main thrust of her of her recreational program, she finally tore herself away from the city life of New York and headed for rural areas to spread the folk dance "gospel." 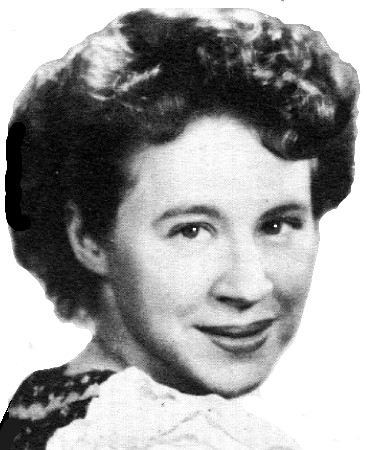 In the early 1940s, she was Extension Recreation Specialist in West Virginia for the State University, and was associated with the Oglebay Institute at Oglebay Park. She directed recreation programs for more than 50 camps and conferences in Ohio, New York, Maryland, Pennsylvania, and West Virginia. Taking leave from Oglebay Park, she became affiliated with the Industrial USO in Phoenix, Arizona. From 1947 to 1955, she established the country's first recreation leaders' laboratories and folk dance camps. In the years that followed, these institutes trained hundreds of camp counselors, Boy Scout, Girl Scout and 4-H leaders, physical education instructors, and folk arts instructors. Jane is credited as one of the founders of the modern folk dance movement, whose enthusiasts in the United States became to number in the thousands. From her book, Folk Dancing for Fun, Jane had "for several years been a happy personification of fine recreation, combining game, music, and folk materials. Her firm belief that persons can and will have fun through their own efforts, coupled with the idea that a people's folk customs are their greatest heritage, [had] made her leadership an effective influence in recreational circles all over [the United States] and other parts of the world. Jane first turned these two beliefs into reality with the Folk Dance Camps at Oglebay Park, Wheeling, West Virginia, where people came for a weekend to dance, but found themselves decorating the halls, cooking nationality foods, singing and leading folk songs  in other words, dancing, singing, eating, and living folk customs the world over. More folk dance camps were organized in this same style in other areas, from Maine to Arizona. The Christmas Folk Festival in Jane's home-state of Wisconsin is the highlight of the year, where townspeople of Swedish, Norwegian, Swiss, Cornish, and American backgrounds help recreational folks create for themselves true experiences in the folklore of the entire world." Jane taught at the California College of the Pacific Folk Dance Camp (now Stockton Folk Dance Camp) in 1954. In 1955, Jane married Jergen Hinrichs, a young farmer from Germany, who was doing an internship on her father's farm. The couple moved to Germany where she lived in Ostfriesland for 11 years. Throughout Germany, and in Switzerland, Scandinavia, the Netherlands, and Turkey, she continued to teach folk dancing and to study European folklore. Together with four other well-known folk dance leaders, Jane was invited in 1956 to tour Japan. Literally thousands of Japanese teachers and recreation leaders learned folk dancing, American style, during this colorful tour which promoted world peace and understanding following World War II. Jane had founded and directed the Christmas Festival, which used Mount Horeb as its home base from 1947 to 1966. Jane created the festival to combat the growing commercialization of Christmas and the ignorance of increasing numbers of young people about the diverse pageantry, foods, and music of Christmas. In addition to nationally, and often internationally, known dance leaders who staffed the festivals, dozens of area individuals attended the popular event. Mount Horeb families contributed to music and entertainment festivities, cooked Norwegian lefse and Cornish pasties, and housed out-of-town guests. In 1966, Jane returned to Wisconsin, and purchased the old Wakefield School near Ridgeway, on an acre of land which her grandfather had donated to the county back in the early 1880s. There she created and directed Folklore Village Farm  the culmination of her ideas about festivals, folklore, dance, recreation, community, and the land. She continued the Christmas Festival there. Folklore Village Farm, whose slogan is "Connecting the Generations with a World of Traditions," continues today, with an active program of family and ethnic events. Jane created a unique philosophy of recreation that blended seasonal celebrations, ethnic traditions, and emphasizes the importance of rural communities, family, and people of all ages creating their own "fun." Jane Farwell, nationally known folk dance and recreation leader, passed away on April 6, 1993, from cancer. Folk Dances for Fun. Jane Farwell. Delaware, Ohio: Cooperative Recreation Service, n.d. Music and instruction for 22 dances, with recreation leadership tips. Folk Dancing for Fun. Jane Farwell. West Virginia: Cooperative Extension Work, 19?? Music and instruction for 27 dances, with recreation leadership tips. Miami Institute, Dayton, Ohio, December 1959. Jane Farwell, 1959. My Heart Sings. By Jane Farwell. Informal Music Service. Softcover. Noch Ein Mal. Jane Farwell, 1961. Folk Dancing for Fun, a book. Folklore Village Farm, an article.